Young hero Naga Shaurya has scored the much needed hit with Chalo. The film has turned out to be the biggest hit in the actor’s career. Shaurya’s next release will be the Sai Pallavi-starrer emotional horror drama, Kanam, which is hitting the screens on February 23. Meanwhile, Shaurya is ready with yet another film and this time it’s going to be a family entertainer titled Ammammagarillu. The film stars child artiste Shamlee who played the female lead in Siddharth’s Oye. 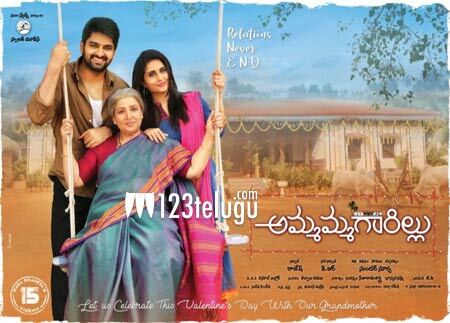 Ammammagarillu is slated for release in summer. Debutant Sundar Surya has directed the movie, which is bankrolled by Swajith Movies banner.